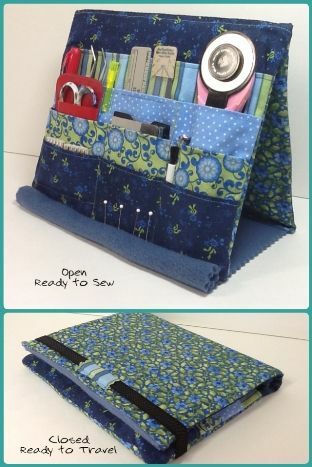 I LOVE this tool holder and you will, too! 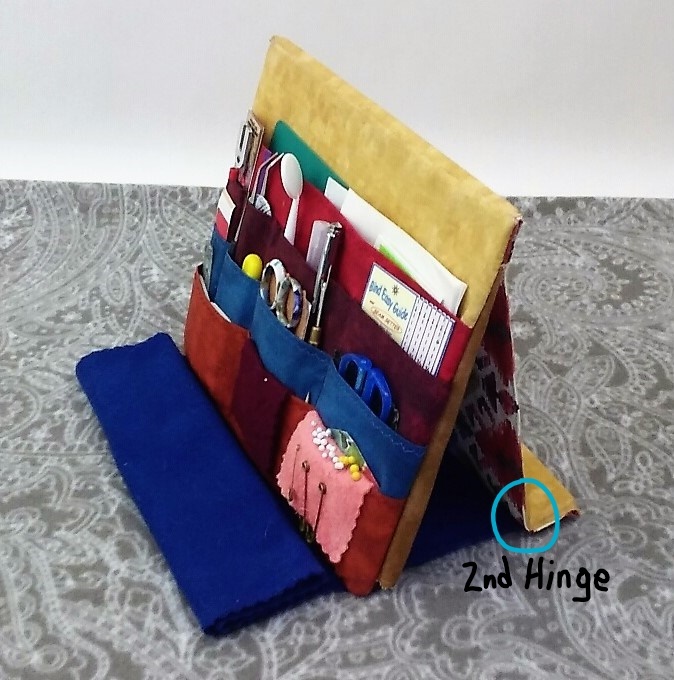 It stands up easel-style next to your work area and keeps your most-used small tools easy to see and reach. 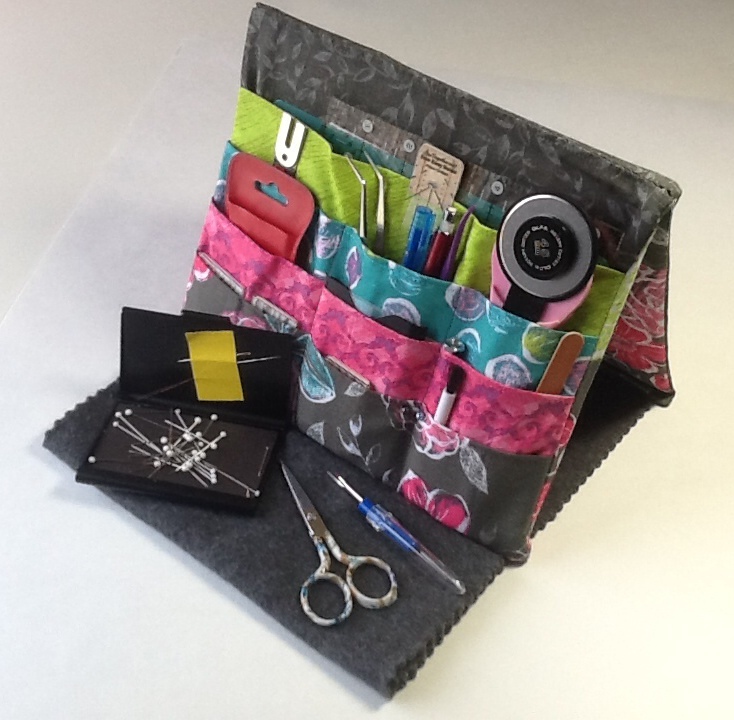 If you want to take your tools to a class or retreat, Tooly easily folds up and protects your tools on-the-go–an elastic band or closure flap keeps it all together. 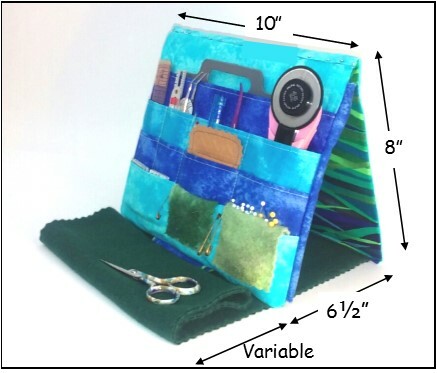 Tooly is big enough to hold most everything except your large ruler and mat, yet is small enough to tuck into your basket or tote. 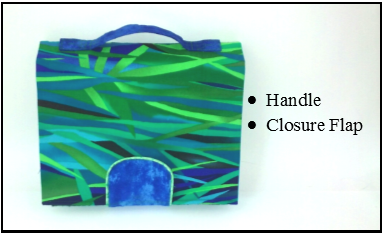 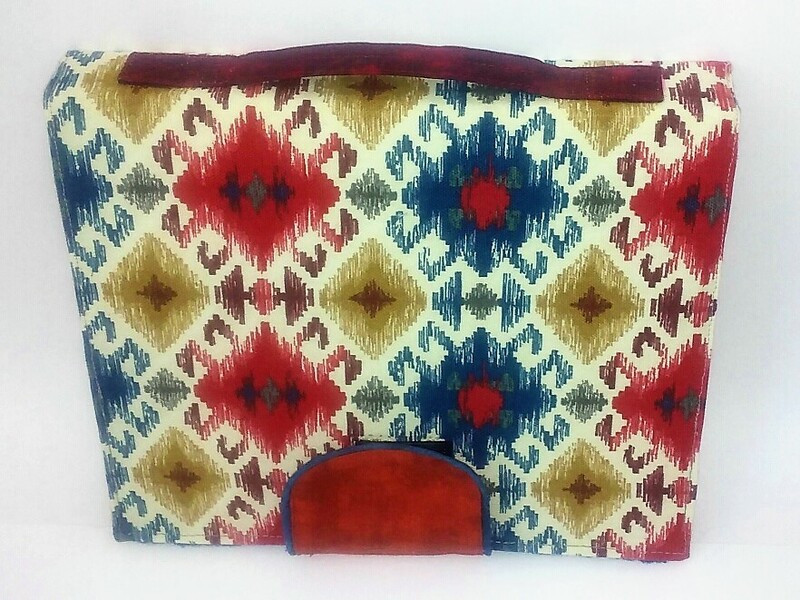 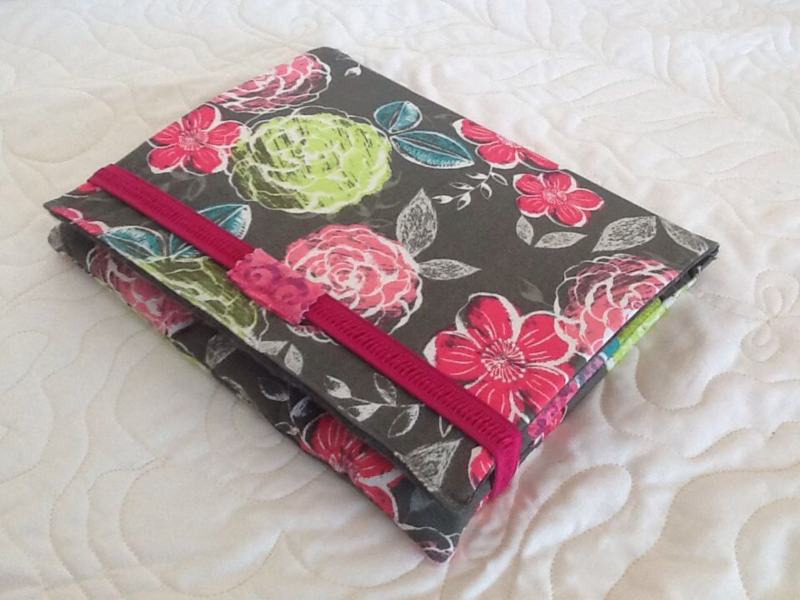 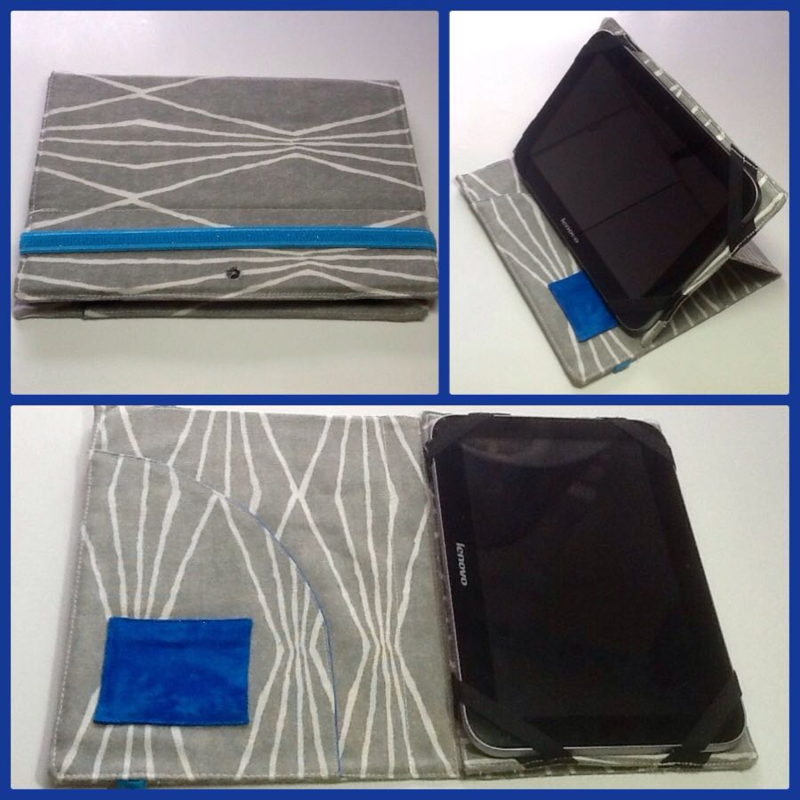 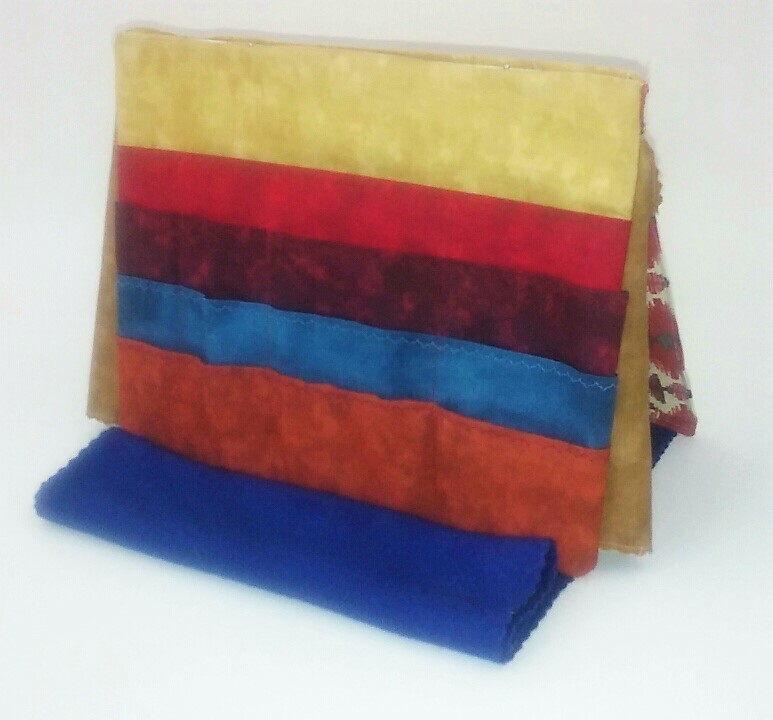 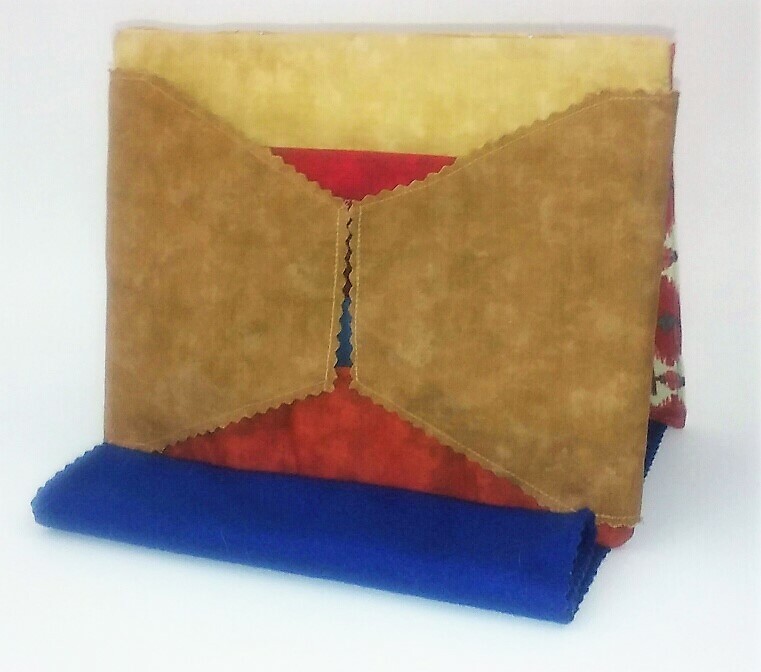 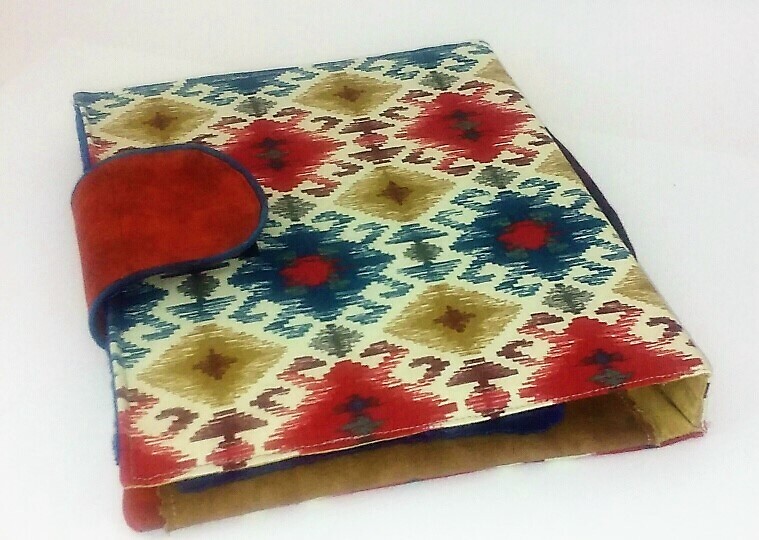 The attached inner fleece flap can be used as a pincushion and as a mini design board. 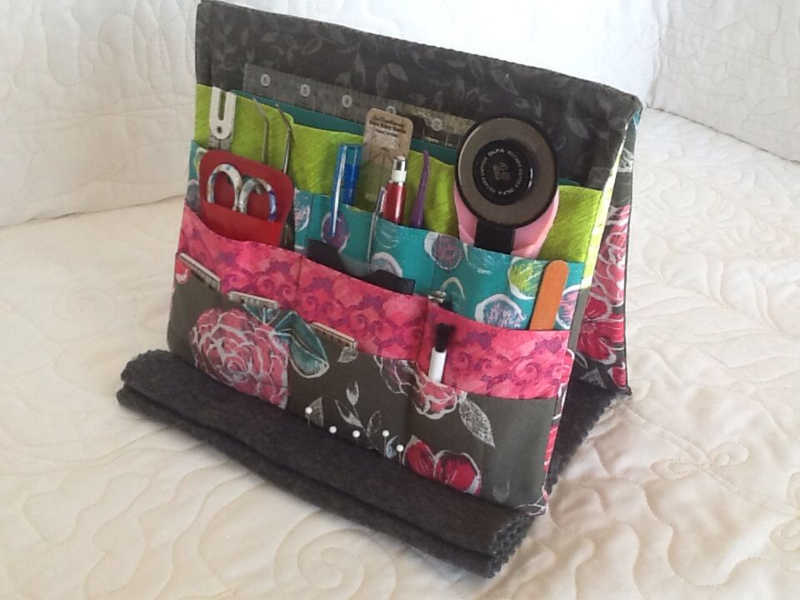 Fleece flap and pocket security flaps secure your tools when traveling. 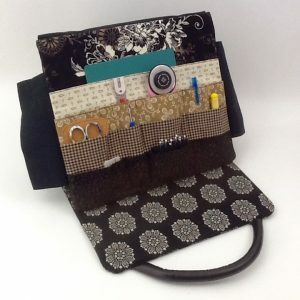 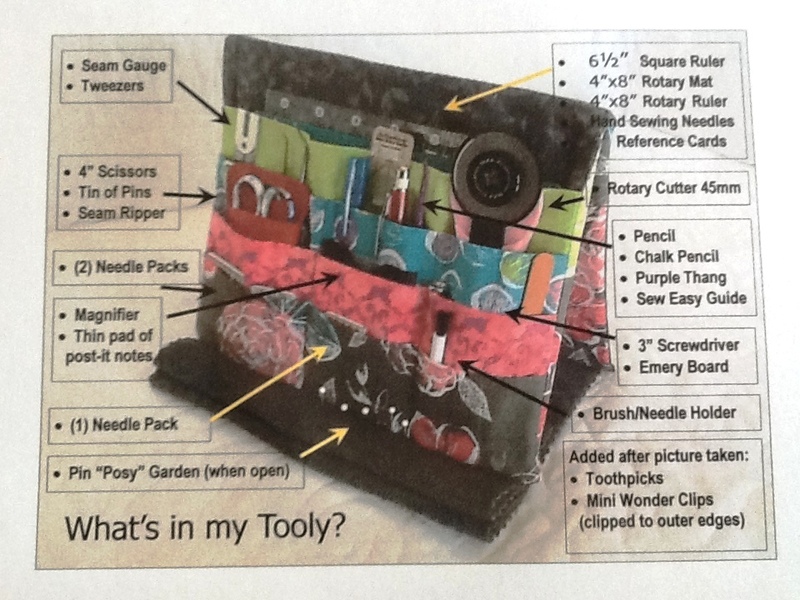 Tooly holds a 4″x8″ (11cm x 22cm) cutting mat, 45mm rotary cutter, pins, needles, seam ripper, pencil(s), and more! 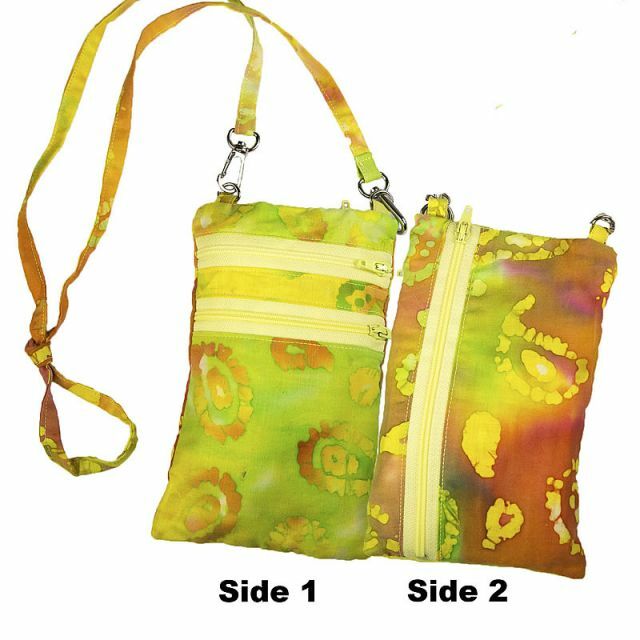 Customize the pocket sizes if you like. 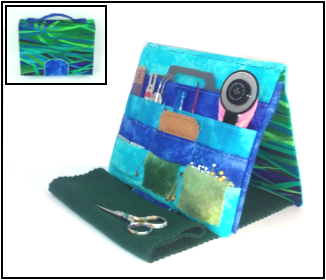 Finished size is approximately 10″wide x 8″tall (25cm x 20cm). 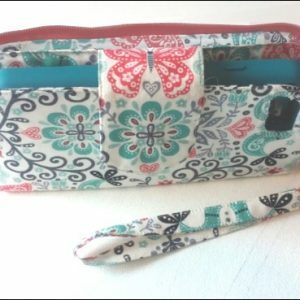 Both imperial (pages 1-10) and metric (pages 8-17) measurements included.